Airfare is not included. Book your flight to Shannon International Airport (SNN). 50 minute scenic taxi ride from venue. A Non Refundable Deposit of $500 holds your spot! 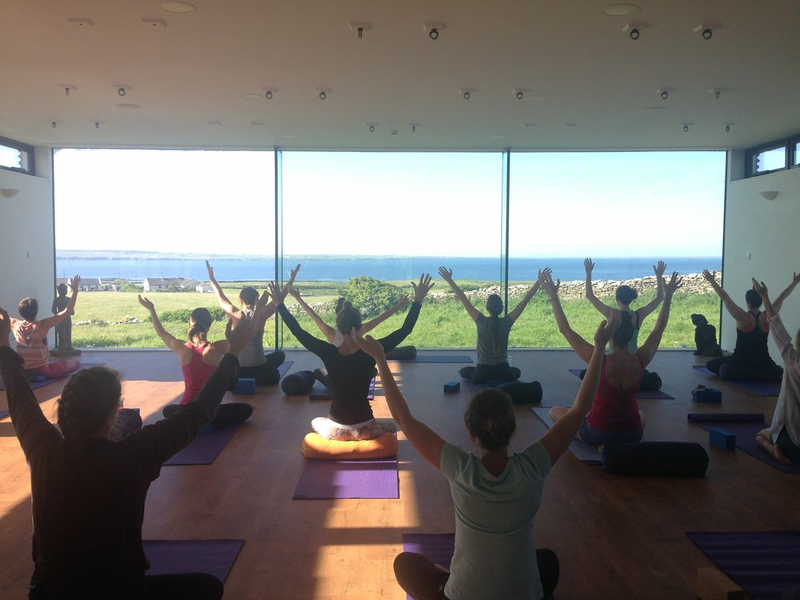 Massage, sauna and hot tub, gorgeous walks along the cliffs, visiting the beach in Lahinch, exploring local towns like Doolin, golf, traditional Irish pubs, ferry to nearby Aran islands for view of the Cliffs from the water, biking, day trip through the Burren to Galway, shopping in neighboring villages. Sian is the founder of Love Yoga and Kumi is a long time Love Yoga teacher and the darling of SKY TING YOGA. Kumi teaches anatomy in teacher trainings and has led retreats all over the world. Sian is very excited to go back to Ireland of the second year in a row! Please indicate which room type you're choosing and pay the $500 deposit. Full balance will be due 30 days prior to the retreat. By signing up and paying the $500 deposit, you are indicating that you agree to the cancellation policy below.